A recently published paper by independent researchers Federico Pistono and Roman Yampolskiy sheds light on the “unethical” side of developing smart and capable AI systems. Titled Unethical Research: How to Create a Malevolent Artificial Intelligence, attempts to identify conditions under which a harmful AI could occur. 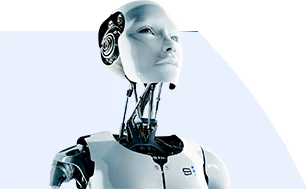 Some of the named “clear signs” (already exhibited by some of today’s leading AI companies) include absence of an oversight board in development of an AI system, as well as existence of closed-source code and (paradoxically) AI developed via open-source software. Open-sourced technology is starting to gain more traction in the AI market; the nonprofit OpenAI, though its mission focuses on the development of AI to benefit all of humanity, is one of the greatest proponents of this type of AI development. Elon Musk, who pledged $1 billion to help fund OpenAI, also partly funded Dr. Yampolskiy’s work on this paper. The question remains as to whether AI will be as closely regulated as malicious software has been in the field of Cybersecurity. At its 10th annual developer’s conference in Mountain View, Google unveiled the latest in its AI-powered products and services, all driven by the “Google assistant”. The assistant is a two-way, conversational AI that will allow users to find and access services on the go (such as reserving a table at a restaurant) across devices. Google Home, a voice-activated assistant that will allow users to control some appliances and entertainment systems through voice command, is scheduled to be released later this year. “Allo and Duo” is Google’s new messaging app that will users to interact with Google assistant in a group or individual chat. Google has invested heavily in machine learning systems over the last few years, and these latest products are just a preview of the resulting AI-driven products still to be rolled out later this year. In the midst of a constantly changing and growing regulatory landscape, more large banks and wealth management firms are turning to AI systems to help with everything from anti-money laundering schemes to oversight of general compliance functions. Supports of AI systems cite better efficiency, less false positives, lower costs, and better use of humans’ time as the driving benefits. For example, Executive Vice President of United Bankshares Darren Williams said it’s turning to AI to assist in analysis of suspicious transactions linked to money laundering and terrorist financing. Banks are expected to automatically comply with hundreds of regulatory changes a month, and each is also expected to provide a clear audit of the process. Many banks also have unique systems in place, so there is a great need for AI systems that are highly adaptable and logic-driven. OpenFinance is one company offering AI services that deliver up-to-date information in a form customized to an individual bank. BECs allow scientists to study many-body physics, which provides the framework for understanding the collective behavior of wide assemblies of interacting particles, among other uses, but BECs are also extremely sensitive to external fluctuations and require precise measurements. AI systems could allow for BECs to be set up quickly and can also recalibrate fluctuations, allowing scientists to take BEC instruments out into the field. Powered by machine learning, the system also came up with unexpected and complex solutions on its own, which may allow for more even more precise measurements. The firm also announced that it plans to release a service or product (which include a robot) in collaboration with Cogitai in early 2017.